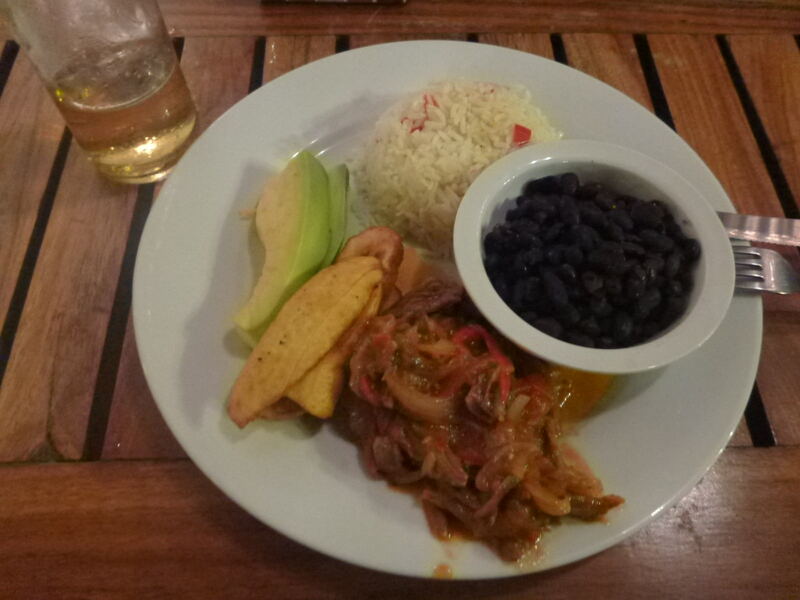 I tried only a few “Nicaraguan style meals” on my short visit to the country, and one of those was for dinner in the town of Granada. I headed to a bar and restaurant called Nectar and checked out the menu for local treats. That’s when I found “Nicaraguan Ropa Vieja” shooting out at me as I had no idea what it was but I knew it was local. So I had to order it. 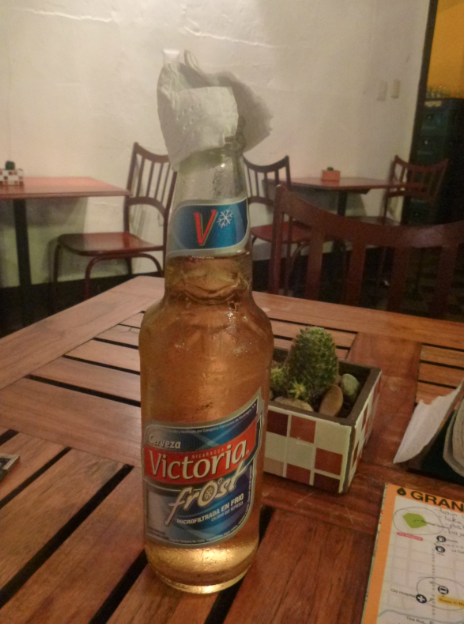 I’d also tried a load of Nicaraguan beers the previous few nights but not yet a “Victoria Frost” so I ordered an ice cold one to make my entire meal for the night a local one. 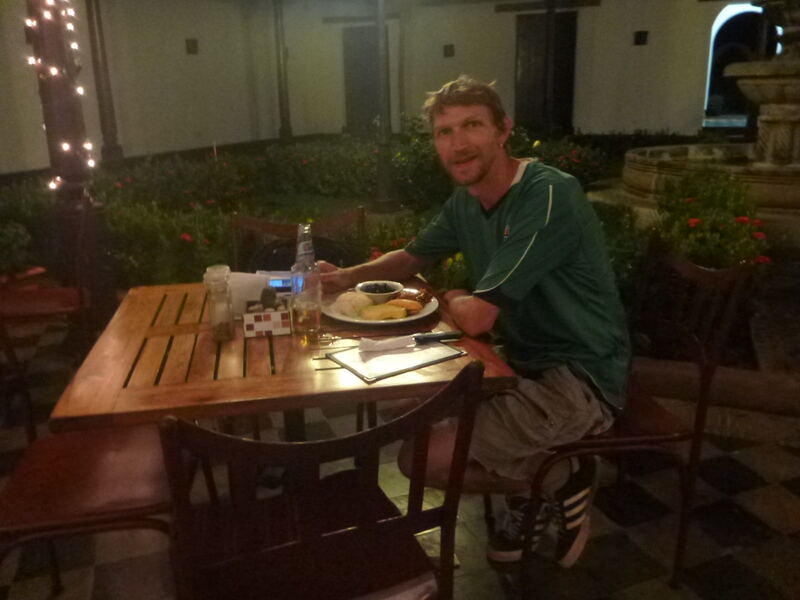 It was also the most expensive meal I bought in Nicaragua but I felt justified as it was my last night and I just had a hunch I’d like it! 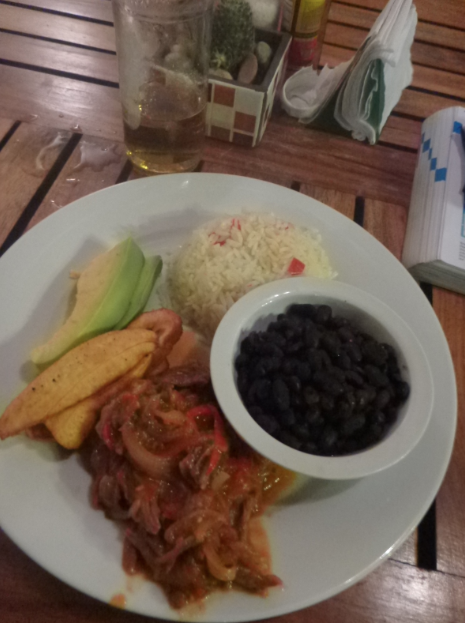 Last dinner in Nicaragua in Granada. So that’s just under $8 US for the lot and admittedly this is normally over budget, but hey! For food and drink it was a 9/10, for price though I’d have to say 5/10. It’s a nice restaurant though so if you want to blow your backpacker budget for a night, go ahead, other than that, stick to the cheap local food stalls! 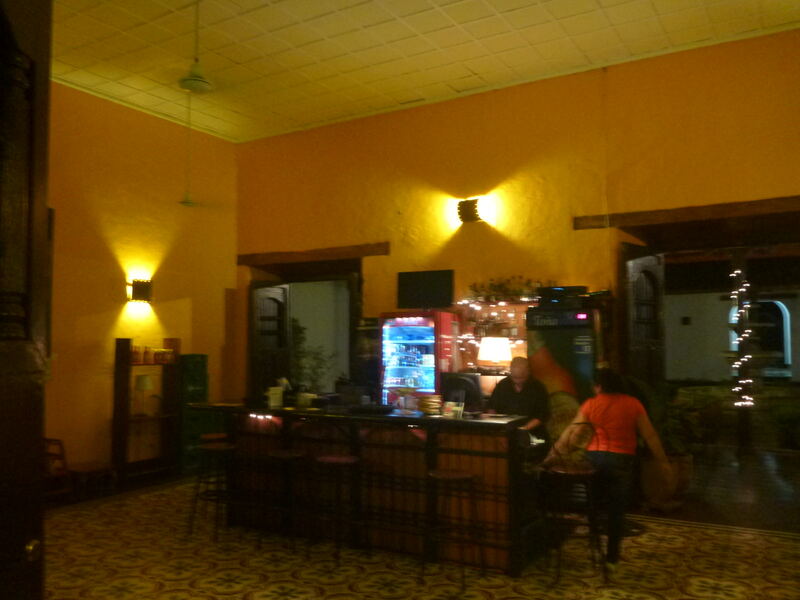 Granada is a cool city by the way – I stayed in Hostal San Angel. This entry was posted in Daily Features, Friday's Featured Food, Granada, Nicaragua, North America. Bookmark the permalink.